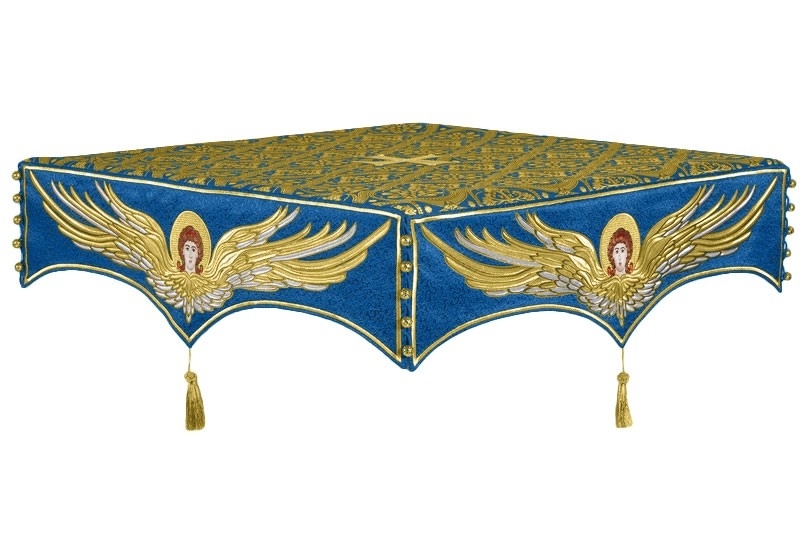 Istok Church Supplies welcomes you to explore our selection of blue-gold Holy Table covers at best prices. 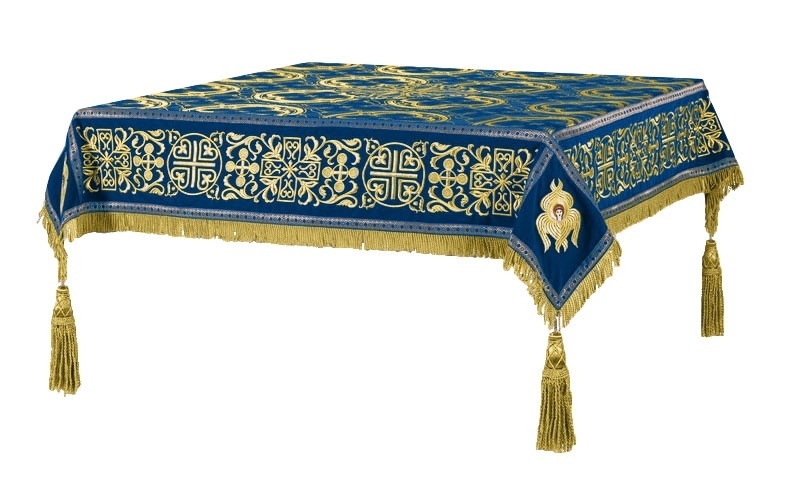 Made from luxurious church fabrics, these coverings are sure to enhance celebrations and services at the Holy Altar. 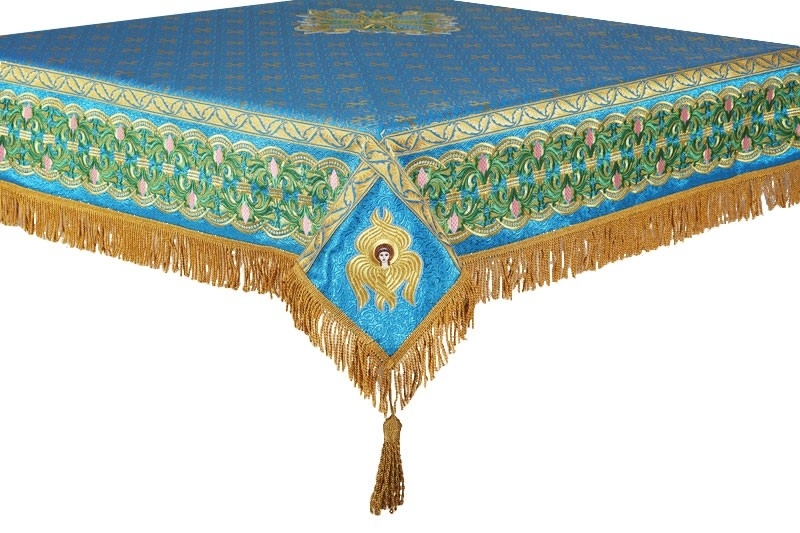 Blue-gold Holy Table covers are suitable for services commemorating the Most Holy Theotokos. Value-oriented high quality Orthodox Christian church products that perform as promised is what sets us apart. 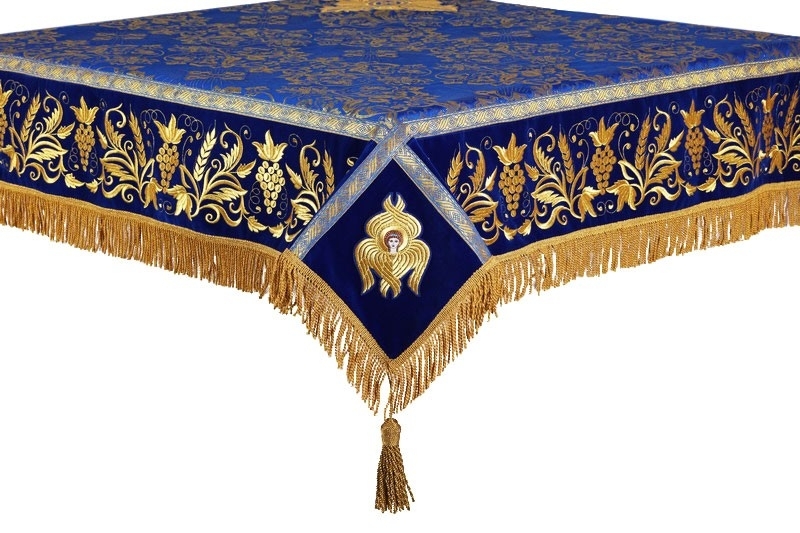 Our Holy Table covers are made from lavish brocades and silks. They feature rich Christian themed patterns that catch the eye and create a sacred ambience at the Holy Altar. We provide trimmings around the edges to enhance their appearance. Our Holy Table are as durable as they are beautiful and they are sure to last a long time with normal use. Beautiful embroidery is an integral part of Orthodox Christian liturgical art traditions. 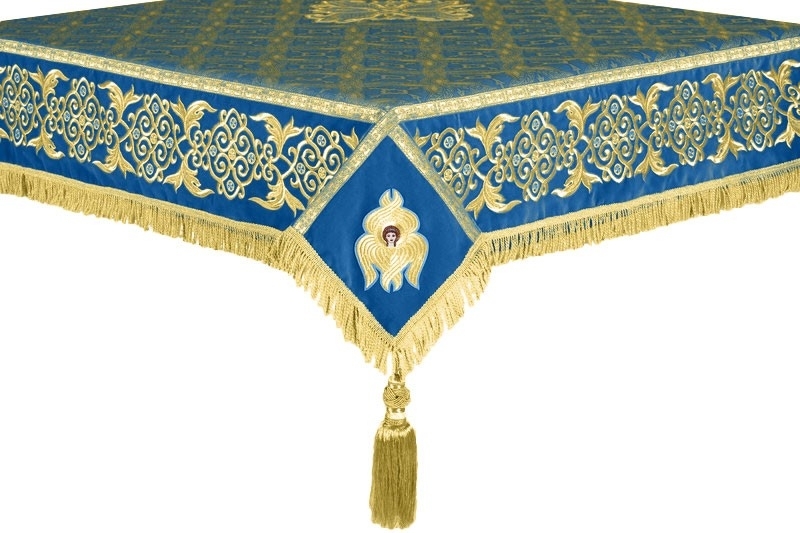 Customers can help preserve and promote this art by purchasing one of our embroidered blue-gold Holy Table covers. Embroidery is rendered using high quality threads and is completely done by hand to ensure superior quality results. Our skilled embroiderers have a wealth of experience and have produced stunning works for all kinds of church vestments. 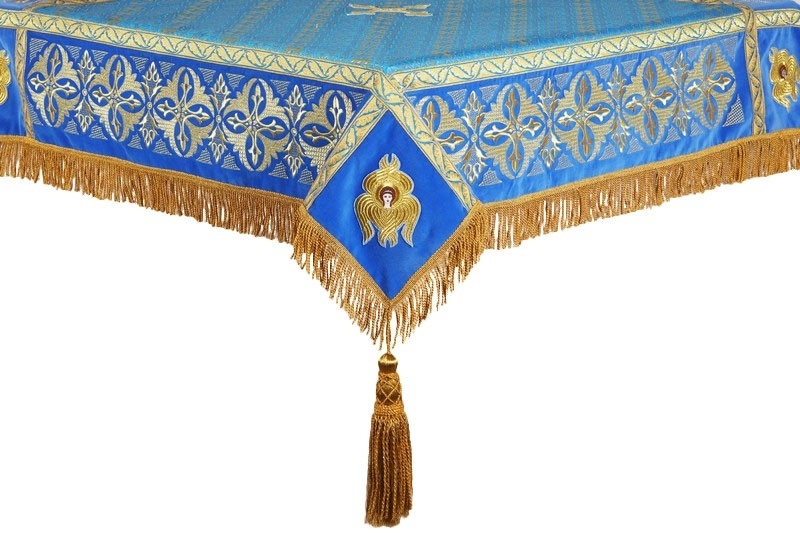 We aim to make high quality Holy Table covers affordable to all church communities. The prices for these church vestments range from just over sixty dollars to over nine hundred dollars depending on the type of fabric chosen and the embroidery it features. We offer these items at considerably lower prices than what is found in other stores and customers can make a savings of 25% by purchasing from us. By default, the size of each cover is 55”x55” and the price reflects that. No matter where you are – Europe, continental America or Australia, we can deliver to you. It is an honor to serve you, thank you for your support!